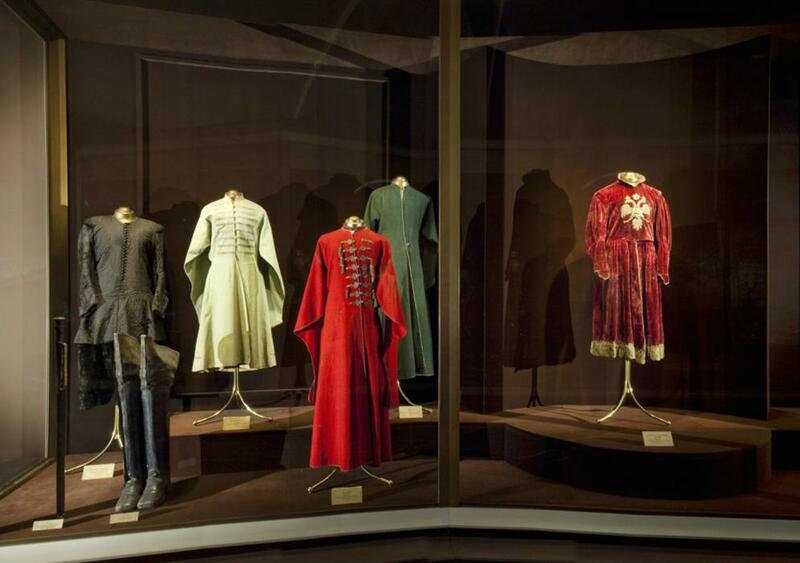 As important Russia's landmark as the Kremlin Cathedrals, Red Square and the Hermitage is the Kremlin Armoury Museum. It seems this national pride as if on purpose confuses people with its name and make them think it is all about arms and amour. The former Treasury and one of the world’s top five Royal Treasure Houses – that’s the exclusive collection protected by the title Kremlin Armory. A brief overview of the core collection is waiting for you below. And, of course, we invite you to admire the treasures on one of our private Kremlin Tours! Neither a book nor audio-guide can compete with the excursion of the expert Kremlin guide. We will easily lead you through this vast collection and share with you its most exciting facts! Golden Gospel (1571). 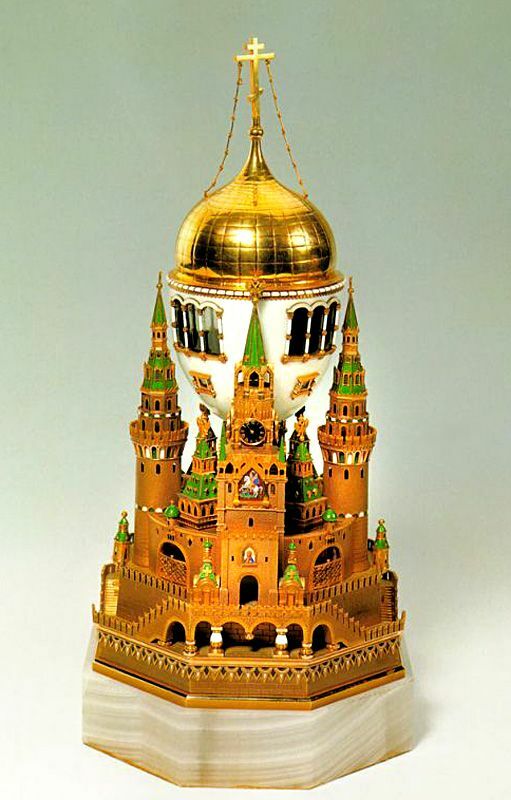 This Gospel, made in the Kremlin workshops, marks the heyday of the Russian craftsmanship. It is lavishly decorated with gold, gems, chasing and enamel while its blue sapphires amaze by their size. This favorite stone of Tsar Ivan the Terrible was chosen to decorate the Gospel – a gift of the Tsar to the Kremlin Cathedrals at the threshold of his third marriage. 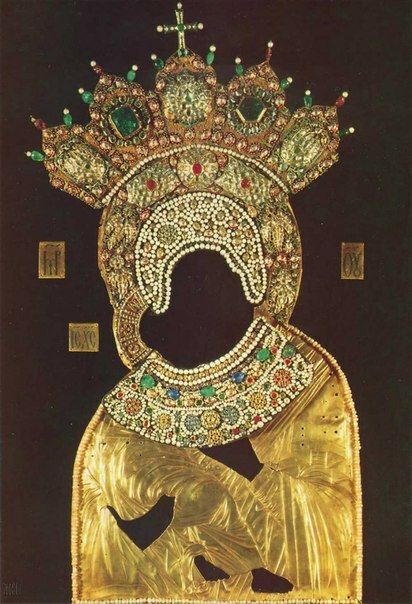 Oklad (icon-setting) of Icon of Our Lady of Vladimir (1657). Looking at the 17-th century golden oklad of the country's most venerated Icon – Icon of Our Lady of Vladimir – is breath taking. All studded with diamonds and pearls and adorned with two 100-carat (!) Colombian emeralds, it will be one of the highlights of your Kremlin visit. Faberge Eggs. 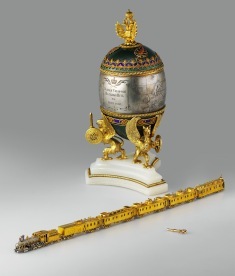 The biggest collection of the world famous Imperial Faberge Eggs is also here. The Eggs “Moscow Kremlin”, “the Clock” and “the Trans-Siberian Express” as well as 7 other Eggs gather crowds by their showcase no matter what the day or time. The State Regalia is our favorite and the most important part of the Collection. It includes the marvelous individual crowns (or rather luxurious caps?) 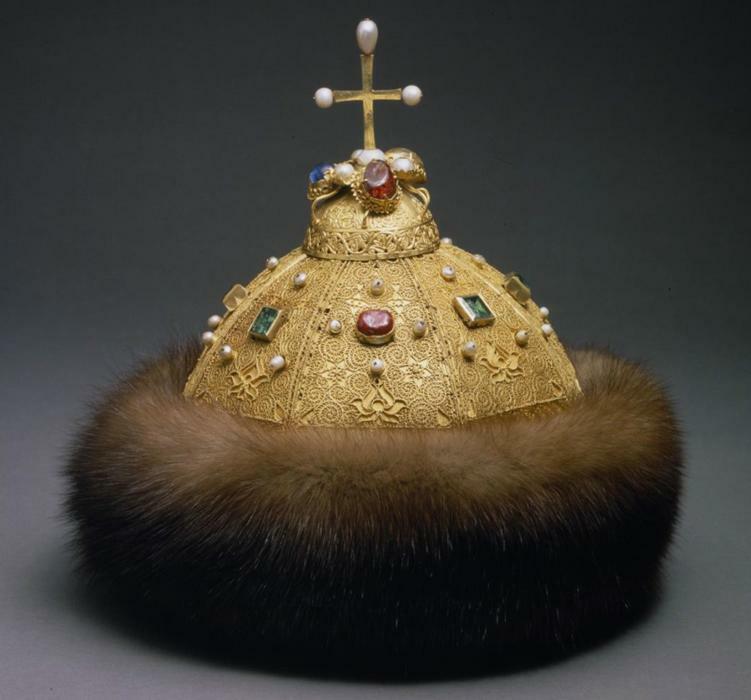 of the Russian Tsars and the most important one – the Monomakh’s Cap used for the coronations for two centuries. Their artwork is impeccable. 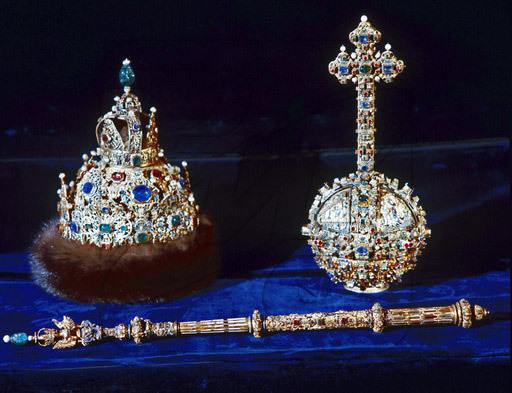 The massive diamonds, emeralds, rubies, and sapphires, adorning the crowns, is an evidence of the former wealth of the Russian Royal court. 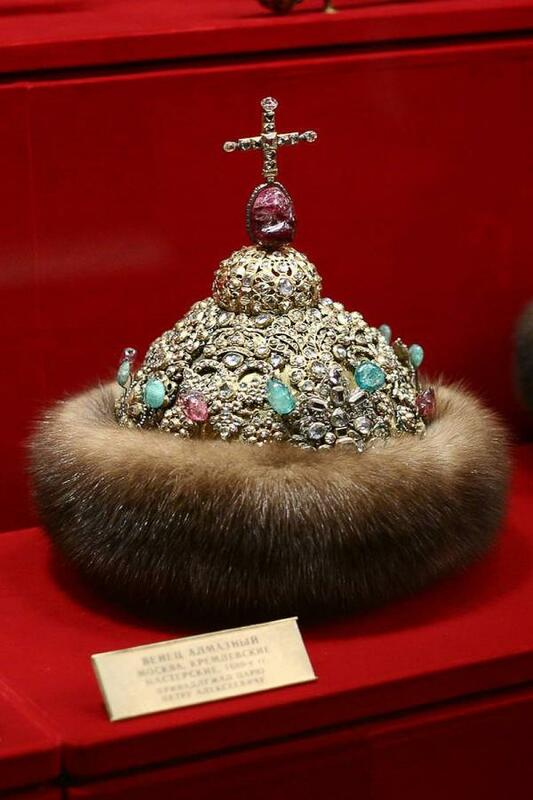 And where else in the world one can see crowns decorated with sable fur?! 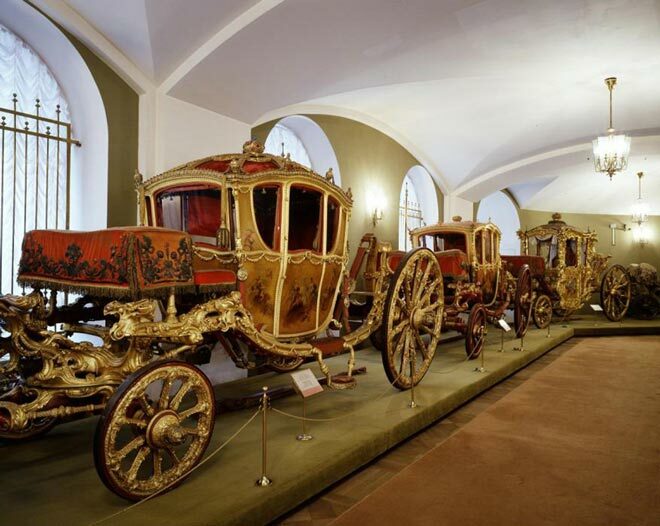 The Armoury Chamber (the way we call it in Russia) is proud to have one of the world’s best collections of carriages, if not the best! 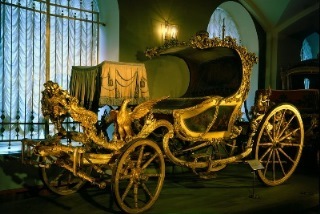 There are brilliant examples of royal carriages executed by such talented masters as John Buckendal, Francois Boucher and Johann Hoppenhaupt. The collection is impressive in size, as only Empress Elisabeth on her own had possessed 5 personal carriages! 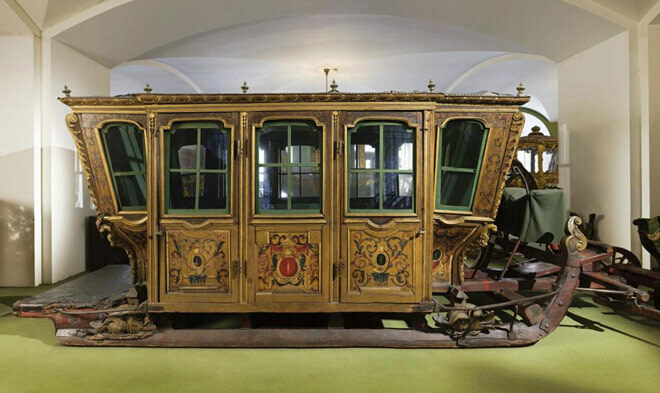 What also must be noted is the 18th-century Winter Sledge – another authentic Russian exhibit that gets a lot of attention from overseas travellers. 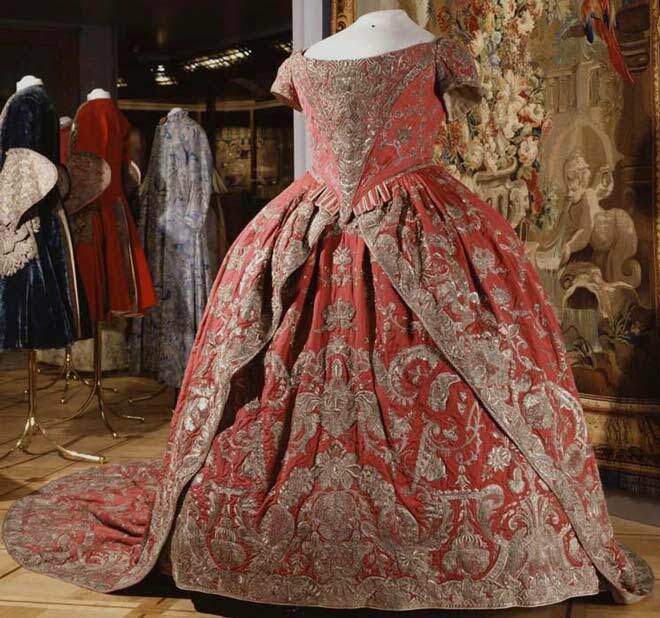 Russian-made 18th and 19th centuries’ coronation dresses – with golden and silver embroidery, lace, gems and pearls – represent an important part of the Collection. 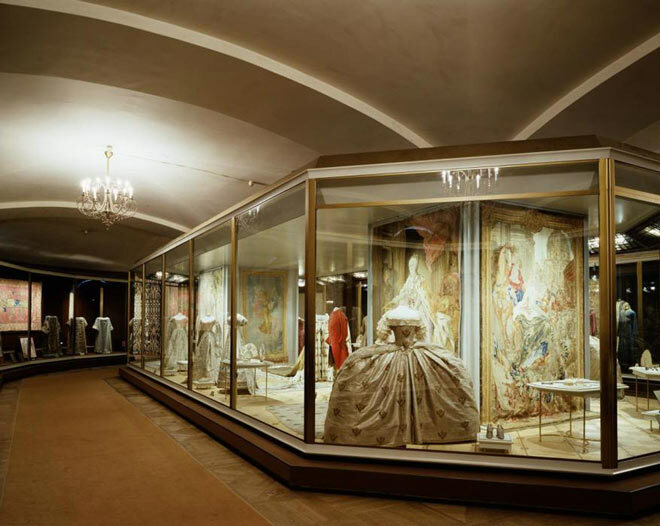 Here you can see the coronation dresses of Empresses Catehrine I, Anna and Elizabeth, Catherine the Great and Maria as well as the dress of Alexandra, the last Empress of Russia. A splendid and delicate masquerade ball costume of Emperor Nicolas II is one of a kind exhibited in the Kremlin Armory Museum. 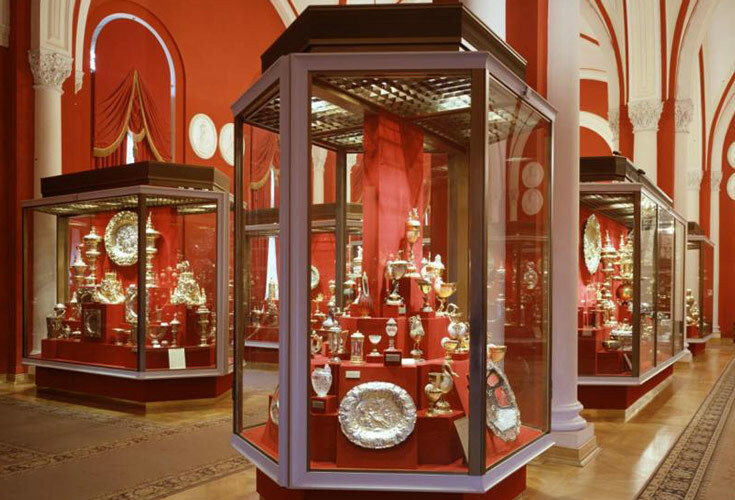 The Russian Royal Treasure House is proud of its Collection of ambassadorial gifts from all parts of the world. England, Holland, Sweden, Poland, Germany – to name a few. Since tableware was the most popular state gift of the past centuries, there are numerous silver dishes, chalices and goblets of various size and shape. 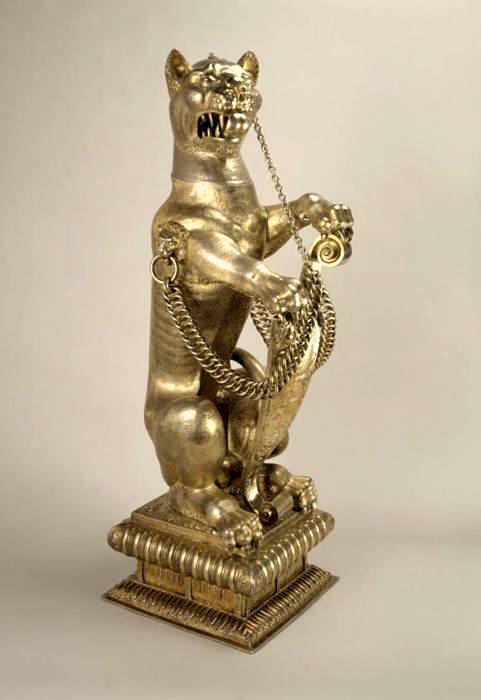 Among them are German amusement goblets “Bell” and “Ship”, “Smoking Mountains”, and two adorable silver vessels in the shape of snow leopards from England! Ostrich eggs, ivory, coconut and rare minerals – who would imagine a state present made of such extraordinary materials? 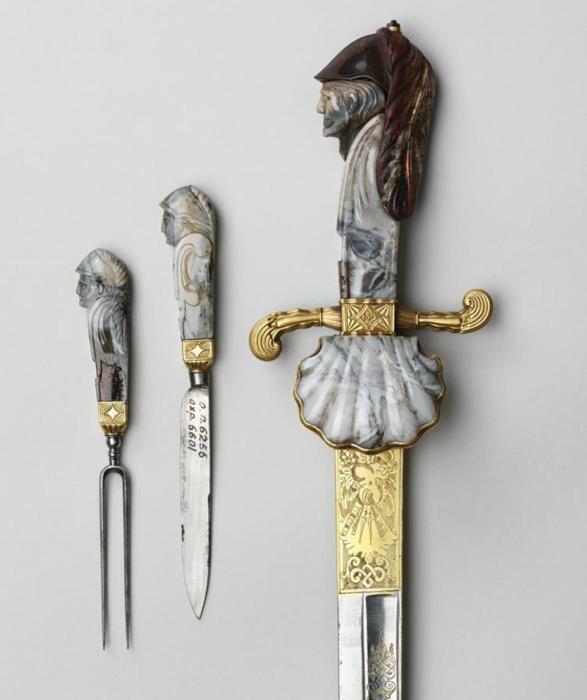 The Armoury Museum Moscow has a separate showcase of these truly impressive items. They are never missed on our private Kremlin tours. Two rooms on the 2nd floor, including the Round one, are given to the Russian and Western European Arms and Armor. The Round Room was initally meant to house the State Regalia, hence its rich decoration. The Soviet time that replaced Royal Russia highlighted the key points in a different way. The current display of the exhibits was not changed since then (the middle of the 1980s). Helmet (12th century, Russia). A pride of the Russian Collection of Arms is a 12th century Royal helmet, decorated with a holy image of Archangel Mikhail on a silver plate. Exciting is the story of the helmet. 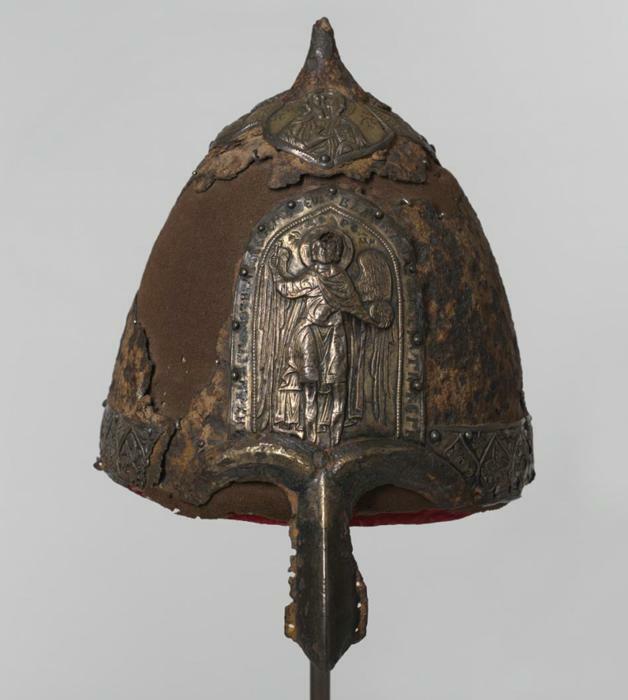 It belonged to Prince Yaroslav, who lost a battle against neighboring kingdoms and managed to flee from the battlefield by burying his helmet in the ground. For almost six hundred years the helmet stayed there, until a peasant girl found it. Russian firearms. There are about 300 (!) pieces of the Russian firearms in the collection. 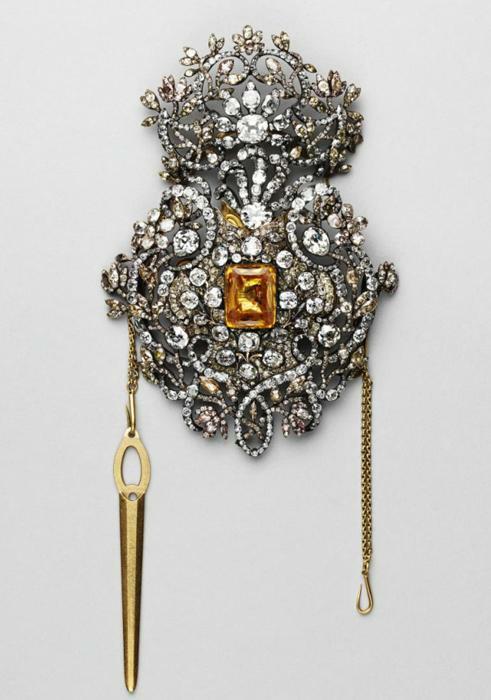 Lavishly decorated with ivory, silver, gold and gems they mark a high level of craftsmanship of the time. European Armor. Polished and sparkling German and French armor deserves a special attention. So familiar to our visitors from countries with long traditions of joust tournaments, they are exotic indeed for the eyes of a Russian. Such tournaments were never popular here. That's why these medieval "outfits" were received as gifts and used for fun by the Royalty and wealthy families. 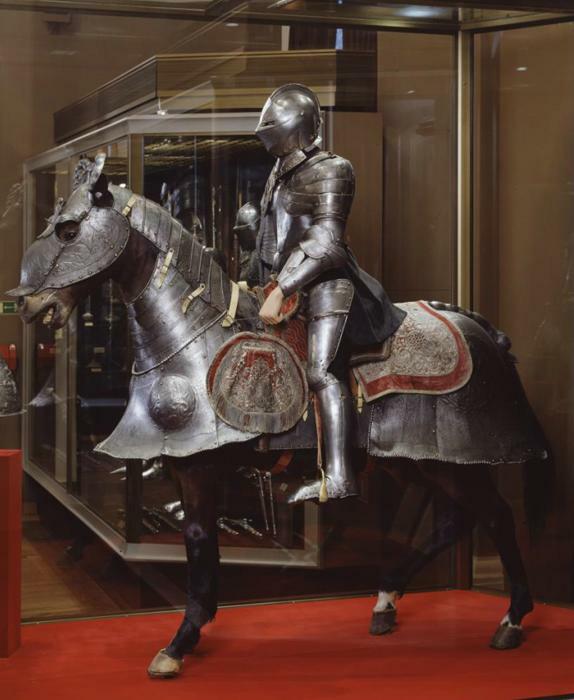 A good example of it is a child’s suit of armor, made for young Peter the Great. Turkish and Persian Arms of the 16th and 17th centuries. 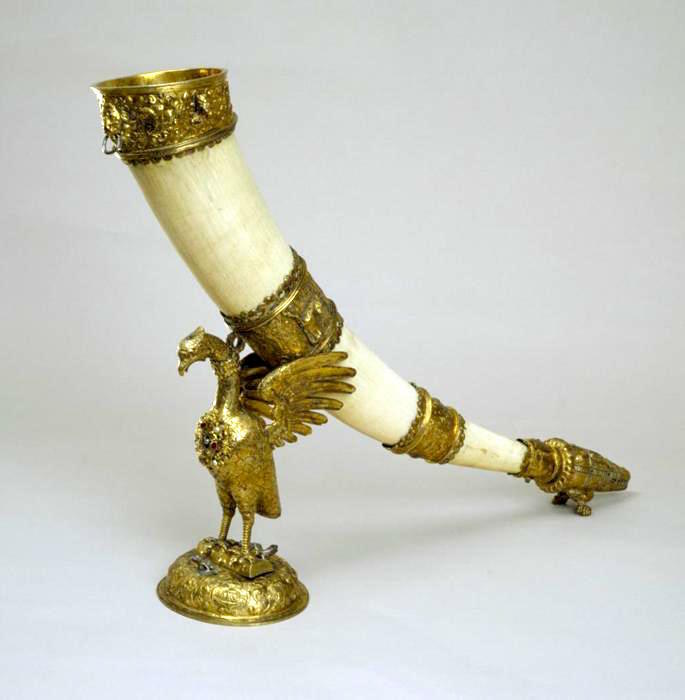 The Kremlin Museum is proud to exhibit a splendid collection of the arms from Eastern countries ­– Turkey and Persia (nowadays Iran). 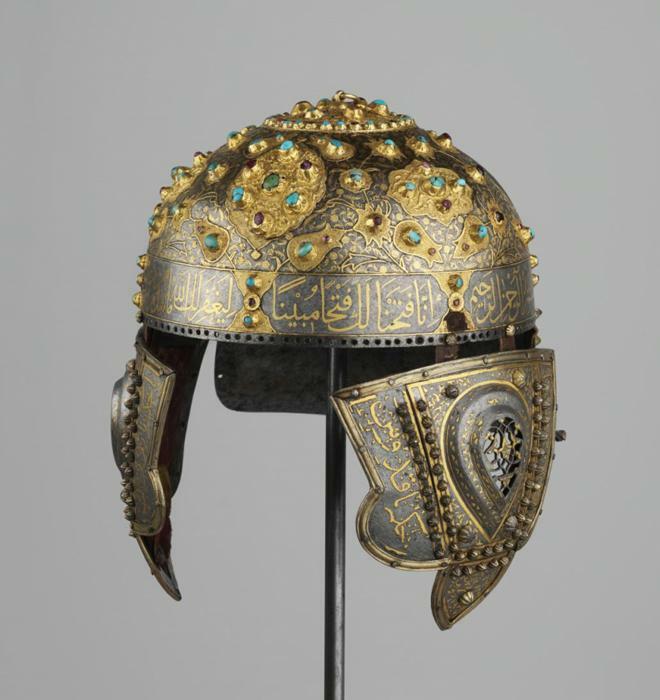 Richly decorated with rubies, emeralds and turquoises guilt helmets, gauntlets, shields, and daggers captivate with their impeccable craftsmanship and splendor. 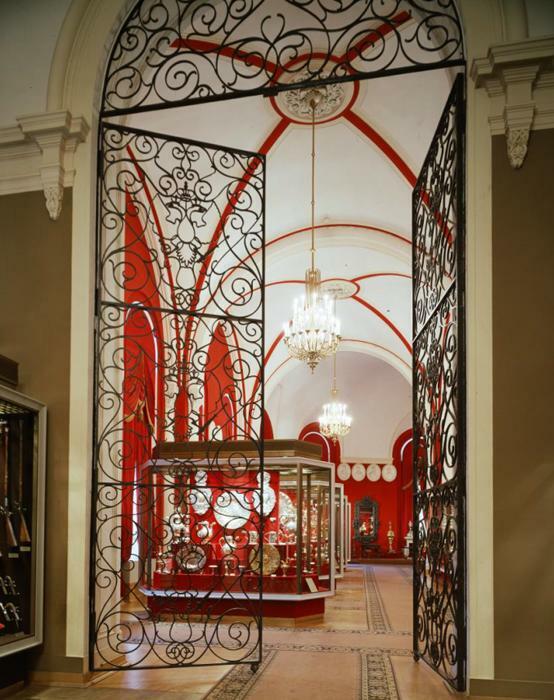 Last but not least on this overview of the Kremlin Armoury Museum is an exceptional collection of horse harness and saddles. Russian Tsars and Emperors were all skilled horsemen. 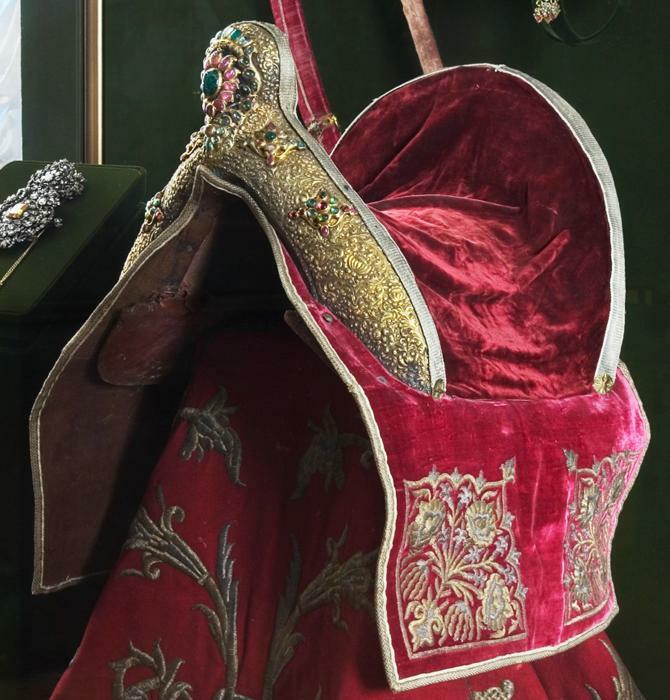 On display are saddles of Ivan the Terrible and Boris Godunov, embroidered with gold and silver threads and decorated with rubies, emeralds, sapphires and diamonds. 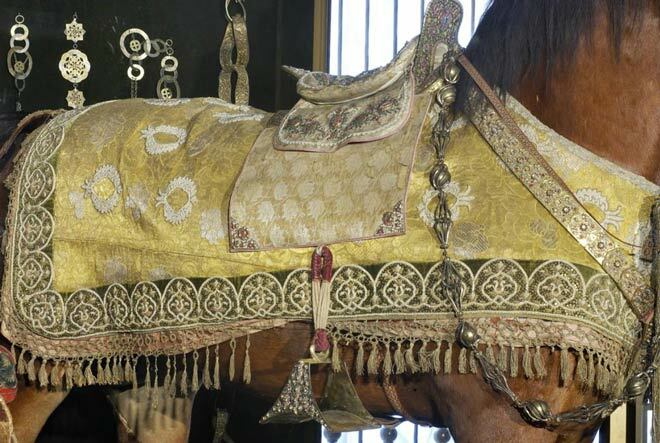 Even more luxury and magnificence distinguished the harness of parade horses, used during royal processions. Being a spectator of one such event, the Polish diplomat Swiderski said that so richly attired horses cannot be found in any other neighboring country. The best and easiest way to tour the vast and impressive collection of the Armory Museum is with an official Kremlin guide. We provide expert lead Kremlin tours in English, German, Spanish and French and will make sure you will enjoy your tour! You can opt to visit just the Armoury Chamber with us or combine it with a visit to the Kremlin Cathedrals and territory, which is one of our most popular tours.